FINEST A LA CARTE BREAKFAST AT NIMITRI 137 PILLARS SUITES BANGKOK - Are you team breakfast buffet or a la carte? 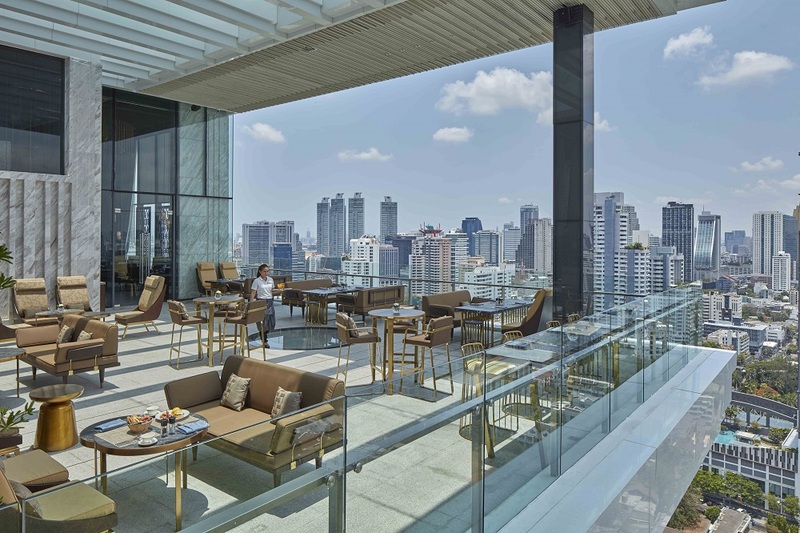 I do love buffet, but I bet you will love a la carte breakfast menu at Nimitr Restaurant at 137 Pillars Suites Bangkok, especially that a la carte style reduce food waste and what you get here is finest choices like beef wagyu and grilled salmon. As I stated before that 137 Pillars Suites Bangkok is one the most luxurious hotel I have ever been, so does with the breakfast. 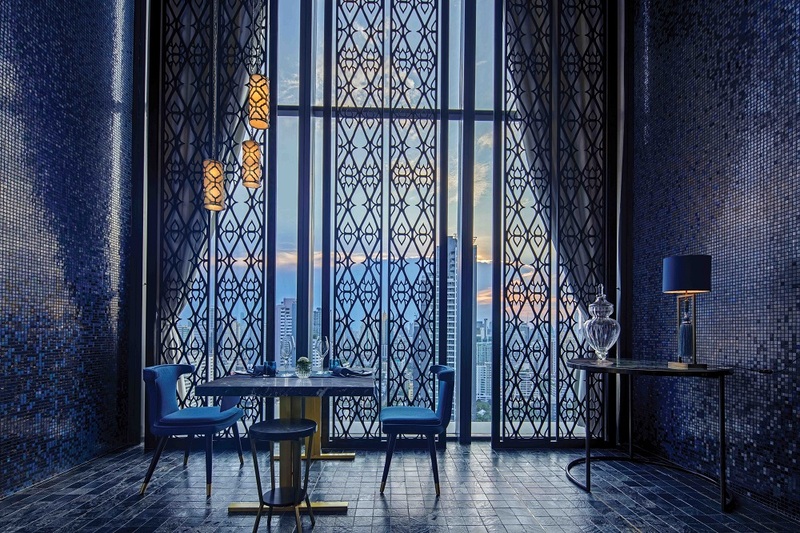 Located in the 27th floor next to Marble Bar and public pool, Nimtr Restaurant is decorated with lavish blue & the high ceiling makes the vibes more tranquil and exclusive, people from outside can enjoy the restaurant, especially during afternoon tea time. The luxury ambiance suits those who love privacy and quietness. So I have tried beef wagyu and grilled salmon for breakfast, a fancy choice for breakfast, but I definitely take them gracefully. You can enjoy Bangkok skyline day and night, from the outside of Nimitr Restaurant, which is essentials for Bangkok's lifestyle, Marble Bar is just next to the pool, you can seat and have a conversation or just relax by the pool with a cocktail in hand, both offer you gorgeous city view of Bangkok with buildings and clear blue sky (if you are lucky with the weather). Night time the buildings come to life with lights, Bangkok, another city that never sleeps. For the suite's guest, you can also enjoy an afternoon tea, while waiting for a night time you can relax with amazing food and drink, besides Nimitr Restaurant and Marble Bar next to pool, you can check the Jack Bain's Bar or Leonowens Club. You can learn the history behind the 137 Pillars House back hundred years ago, unfortunately, during my visit, the Leonowens Club is under maintenance, but if you happen to be in Bangkok, I highly suggest you to experience the suite stay at 137 Pillars Bangkok. "Nimitr in Thai means “a special dream”. We invite you to discover another realm of Oriental Cuisine with our unique and exquisite take on “Responsible Oriental Gastronomy”.Pre and post-dinner cocktails are mixed delicately at the legendary Jack Bain’s Bar. This experience is brought to you by our talented culinary master and curator of fine cuisine, Chef de Cuisine Nanang Prasetya Aditama. 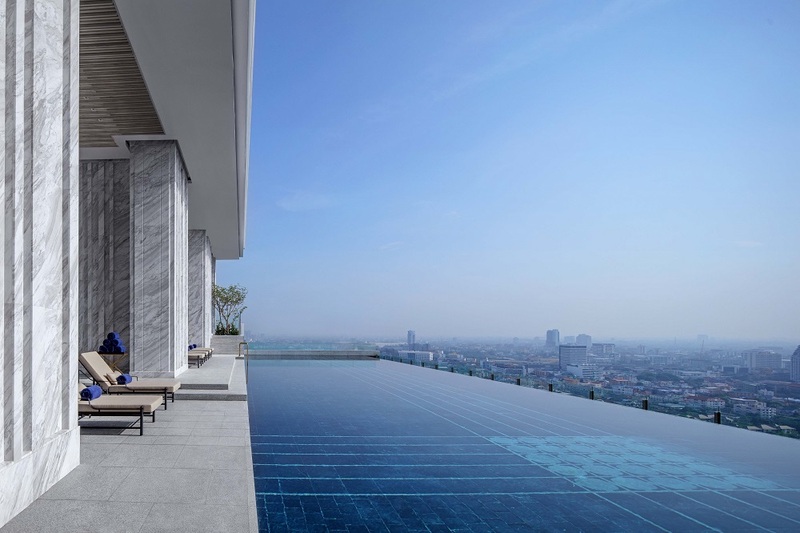 As you ascend to level 27 of the uber-luxe 137 Pillars Suites & Residences you are magically transported into space in a “ Special Dream” or in the Thai sense and meaning – NIMITR. In this haven Chef Nanang and his team have studiously and with great taste created Oriental temptations combining sustainable produce from the immediate region. Chef Nanang Prasetya combines his dishes and has curated regional favorites such as Chilli Crab, Lamb Rendang, Szechuan Rock Lobster, Beef Massaman, Lamb Tandoori, Scallops and Abalone Sashimi, Teriyaki Pork Belly and a plethora of traditional favorites to tempt every palate for every occasion."